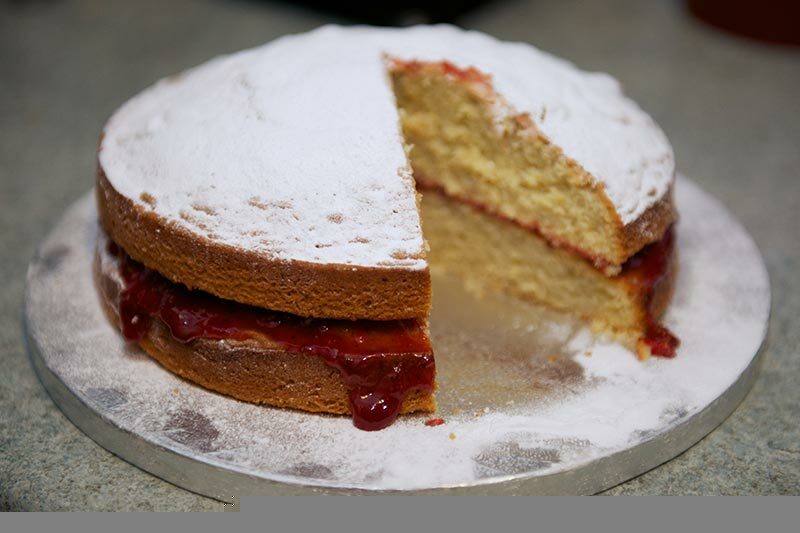 This is an all-in-one recipe from the legendary Mary Berry’s book “Mary Berry’s Baking Bible”. Pre-heat your fan assisted oven to 160c. 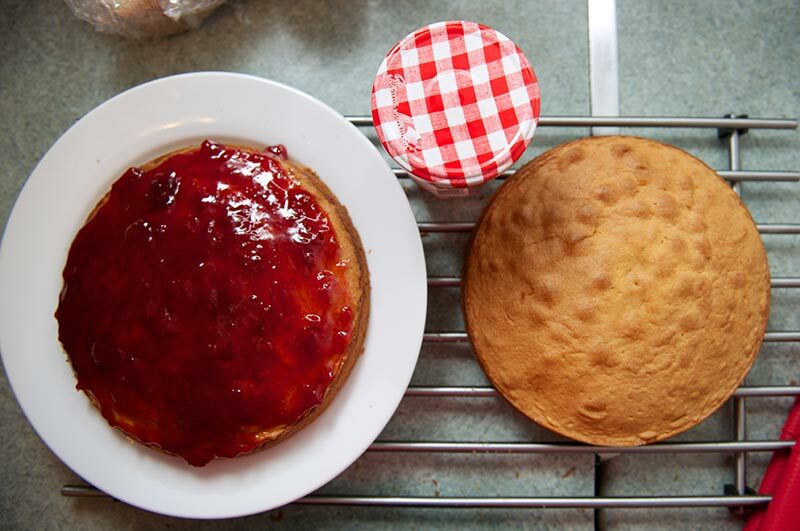 Grease two 20cm sandwich tins and line the base of each tin with baking parchment. Measure the butter, sugar, eggs, flour and baking powder into a large bowl and beat until thoroughly blended, (this might take a while if you are anything like me and don’t soften the butter…). Divide between the tins and level the tops. 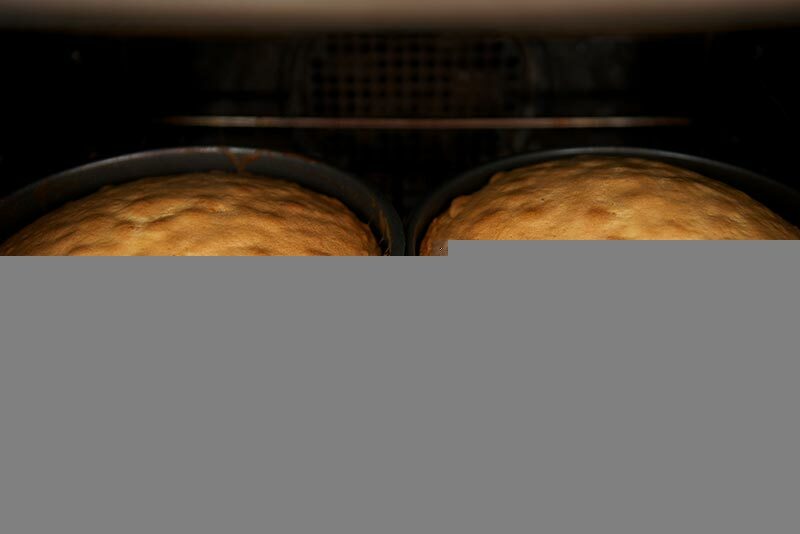 Bake in the oven for about 25 minutes until well risen and the tops spring back when lightly pressed with your finger. Leave to cool in the tins for a few minutes then pop the sides off, peel the parchment and leave to finish cooling on a wire rack. 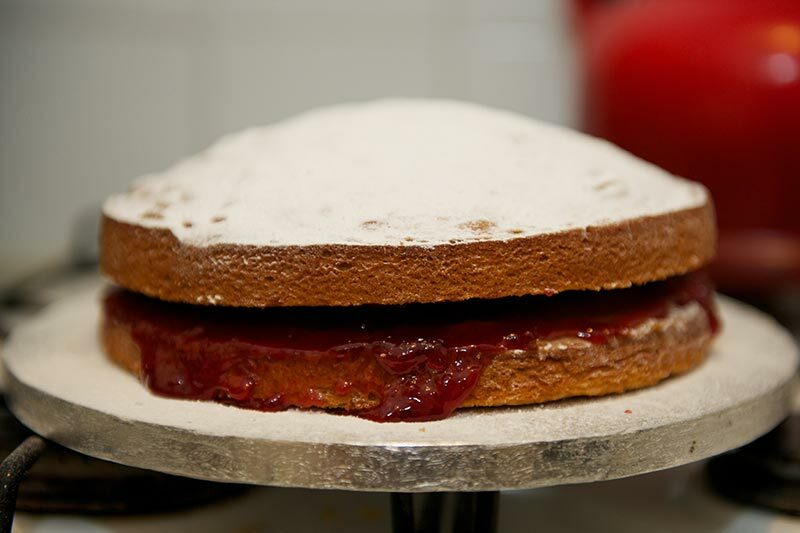 When completely cold, sandwich the cakes together with your jam and give a light dusting of icing sugar. 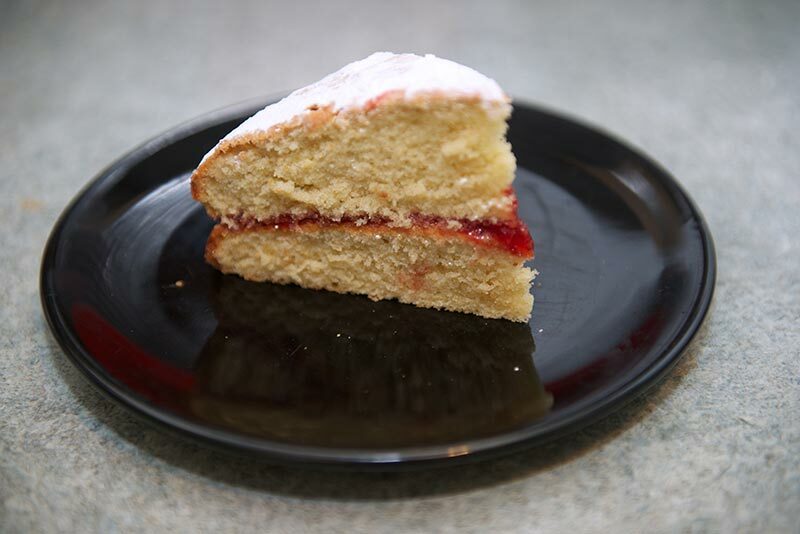 This was a really quick cake to make, and although the sponge was almost moist to the point of sticky, I still think it needed a bit of lubricating. Maybe some cream with the jam would be nice? I had to make this twice. 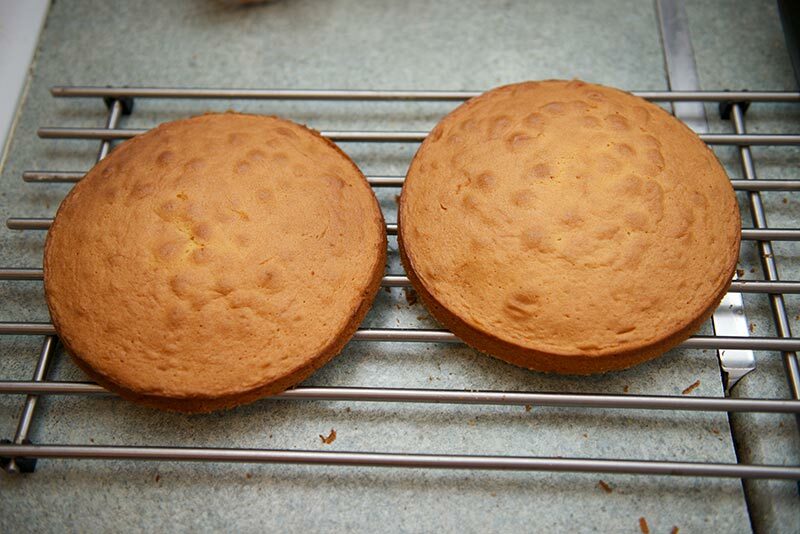 The first time I only had 9 inch cake pans and the cakes turned out thin and weren’t high enough. 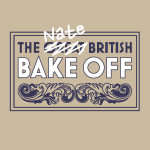 I also overbaked them too. 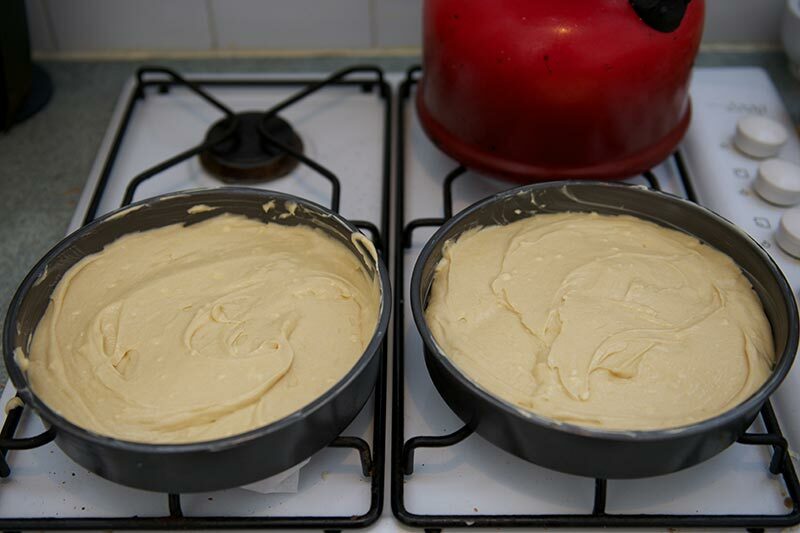 I bought 2 8″ cake pans and the 2nd attempt turned out perfect. 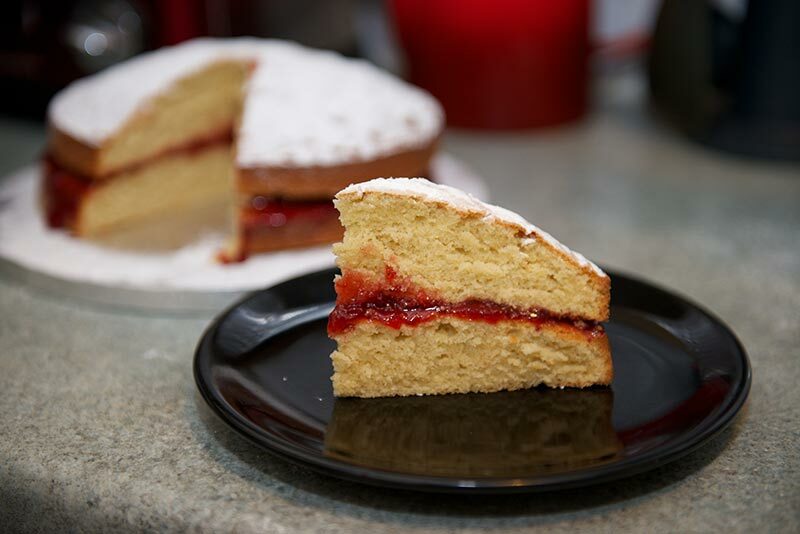 It is a really lovely and light cake.